Running 135 miles from Death Valley to Mt. Whitney in July is a formidable task, even for the veterans who have accomplished this feat before. For rookies, it may almost seem like a dream, or nearly impossible. 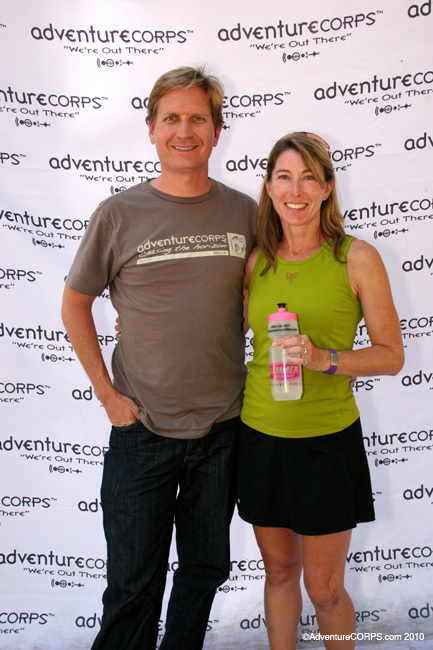 This is why we are very pleased to announce BADWATER COACHING by AdventureCORPS, the first official training program for the Badwater Ultramarathon, endorsed by us at AdventureCORPS and administered by Jennifer Vogel, the second place female finisher in 2011, a three-time Badwater support crew member, and a full-time, certified, and very experienced professional coach. She’s also an award-winning Iron-distance triathlete, and a 2012 Furnace Creek 508 finisher who lives and trains in very hot Florida. She knows how to push herself and her clients to their fullest potential in the most extreme conditions. Jennifer utilizes the latest in coaching modalities as well as years of Badwater experience to bring you to the start line of the world’s toughest foot race in the best shape of your life. 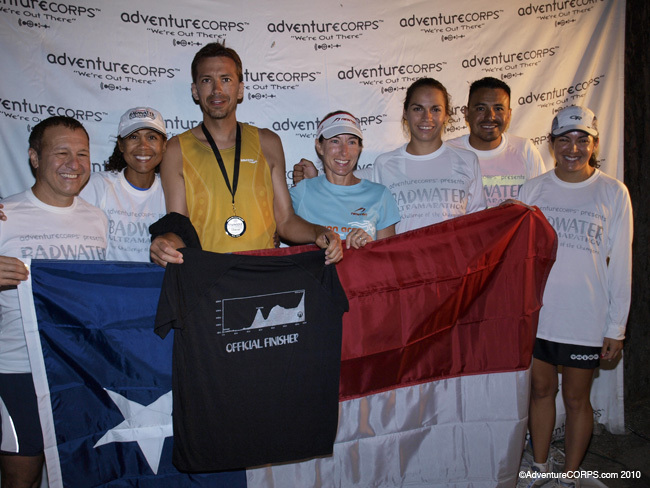 As you would expect from any program endorsed by AdventureCORPS, Badwater Coaching utilizes a holistic training approach, blending all aspects of an athlete’s life with strategic time management to make every workout count. This is the farthest thing from a “Run X amount of miles this week, next week, next month…” program, nor is it some generic, recycled spreadsheet sent to you by email. • Badwater-specific premium TrainingPeaks.com account to track all your training, nutrition and metrics like weight and sleep with charts to monitor your fitness and performance trends as they change over time. • Three 30-minute phone or Skype calls with the Badwater Ultramarathon Race Director in the months leading up to the race. Ask those questions you’ve always wanted to ask! That’s right: Unlike other coaches who you may never meet in person, or who will unavailable to you during the race, Jennifer will be there on Sunday to help you put the finishing touches on your Badwater plan. And once the race starts, she’ll be available for your support crew to contact with questions or concerns. Then, once the race is over, she’ll be there to celebrate with you, your crew, and your Badwater Belt Buckle! The cost for this one-of-a-kind coaching program is $295 per four week block, plus a $95 one-time enrollment fee. The first two blocks must be paid in advance and a discount is available for paying for the full five blocks in advance. The race is just 20 weeks away. Will you be ready? The biggest challenge for endurance athletes isn’t the competition—it’s sun exposure, according to the latest Sun & Skin News, a publication of The Skin Cancer Foundation. Triathletes, for example, compete outdoors in three endurance sports back-to-back—swimming, bicycling, and running. If racers don’t carefully protect themselves, notes Scott B. Phillips, MD, the result could be premature skin aging and skin cancers, including melanomas. About half of the triathletes recently surveyed by Dr. Phillips had skin problems, and 55 percent of those with problems reported sunburns – almost the same results obtained from 259 marathoners. During training, cover as much skin as possible, wearing sweatpants or long shorts, and a long-sleeved shirt or sweatshirt. Wear socks to soak up sweat and absorb impact as well as block the sun. And shield your eyes with UV-blocking sunglasses. Wide-brimmed hats are too unwieldy for endurance sports, but wear a baseball-type cap to protect the forehead and front of the face. Use an SPF 15 or higher sunscreen on all exposed skin, up to 6:30pm or later on a summer’s day, even when it’s cloudy. Dr. Phillips also recommends lip balm, and stick sunscreens around the eyes, because these sunscreens are more resistant to sweating. Badwater recommends the prducts by Kiehl’s Since 1851. Even if a sunscreen is labeled “waterproof” or “water-resistant,” replenish it every two hours after. “These few moments make a big difference in sun safety, and little difference in your competitiveness,” says Dr. Phillips. The Skin Cancer Foundation, the only national and international organization concerned solely with cancers of the skin, conducts public and medical education programs and provides support for research and professional training to reduce the incidence, morbidity, and mortality of skin cancers. Sun & Skin News, a quarterly publication of the Foundation, provides information on a broad range of topics related to skin health, including prevention and treatment of skin cancers, the effectiveness of new sunscreen formulas and sunglasses, prevention and treatment of photoaging, and the danger of tanning parlors. 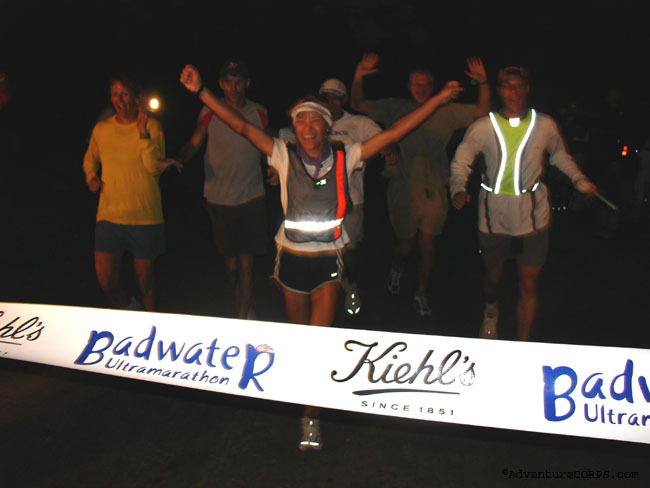 During the last twenty years of competing as an ultra runner I have heard countless stories about the famous Badwater Ultramarathon, the 135-mile running race held annually in July from Death Valley to Mt. Whitney. Since I don’t really like the heat, I have never desired to enter. However, so many runners are passionate about this race across Death Valley, their stories were intriguing, and I was curious. When my coaching client Doug Ratliff informed me that he had been accepted into Badwater and wanted me to pace and crew for him, it seemed like the perfect opportunity to see what this race was all about. First I began reading about how people acclimate for the race: Running in a sauna, cycling in a greenhouse, jogging on a treadmill with the clothes dryer vent blowing on you. While Doug didn’t do this, he did run in the Texas heat while we (his crew) practiced pacing and crewing. It was unlike any crewing experience I had ever had. I wondered “What could a runner need every half mile?” I was used to doing Mountain Ultras where I saw my crew every 2-3 hours, not every few minutes. I got my first dose of Badwater reality when I arrived in Furnace Creek two days before the race. When I stepped out of the van, it was like jumping into an oven. The ambient temperature was 120, the wind was hot, and the sun was literally burning my skin. “How was Doug going to run in this, and boy am I glad I’m not,” were my first thoughts. I was beginning to understand the need for nearly constant crewing. Almost immediately we began meeting other racers and crews. It was like any other ultra in that way, with friendly runners and helpful people. But there was more than that: many of these runners had completed multiple Badwater races, were back for more, and had only great things to say about the race. Bottom-line, I had never seen a group of runners, crews, and pacers so passionate about a race. This was one of the only races I have attended where the crew consisted of more world-class runners than the race field itself. 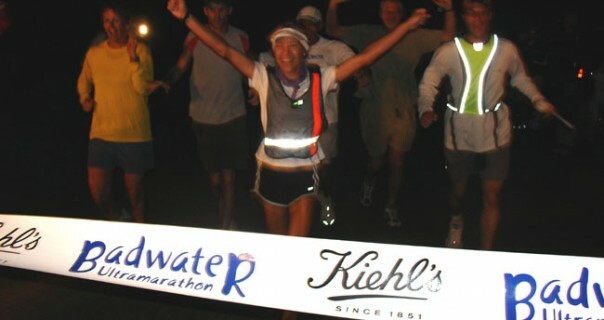 The crews were literally a who’s who of the running elite: Deena Kastor, Jenn Shelton, and scores of Badwater veterans. There were a lot of rules! Support vans had to be tagged with the runner’s name and number. Crews had to adhere to race and traffic rules. The logistics involved seemed overwhelming. As the race got underway I saw the need for all the rules. The 80 racers and some 400 crew members traveled across Death Valley like a well choreographed dance. Everyone worked together, runners and crew helping each other. Just after the race began a woman approached me yelling, “Hey Hammer Girl.” (I was wearing my Hammer Nutrition shirt.) It seemed her runner had forgotten his HEED and was wondering if I had any. Our crew van was with Doug and I wasn’t sure if we had any HEED to spare. Fortunately we had an extra container so when our crew shift started, we tracked down the needy runner and delivered the HEED to his very appreciative crew. Pacing Doug was much like pacing at any other ultra, except I had to stay behind, not in front of, him. My job was to keep him moving forward, limiting stops and distractions, while monitoring fluid and fuel intake. We dealt with the usual sleepiness, nausea, and sore feet. There were times that Doug wanted to sit or rest, so I began timing his stops and only allowing him 5 minutes. I kept him motivated by asking him about topics that he enjoyed talking about. Another tactic that worked was asking him to “run to the next marker.” The reality is that Doug had a great race and was a joy to pace and crew, even when the temps reached 110 during my 8-hour pacing shift. Keeping the runner cool was something very new to me. I have been hot enough in races to drop some ice cubes into my hat and jog bra, but Badwater takes cooling to a whole new level. Our van was stocked with four huge coolers. The “refrigerator” was for those food and drinks which need to stay cool, but were not used frequently. One “coffin” cooler was used just to store about 20 bags of ice. The other coffin cooler was full of drinks, water bottles, plus ice and water to be used for keeping Doug cool. The last was a 7-gallon drink cooler full of ice and water. This cooler was kept sanitary and only an ice scoop was used to put ice in his water bottles, so that no bacteria would get into his drinking water. 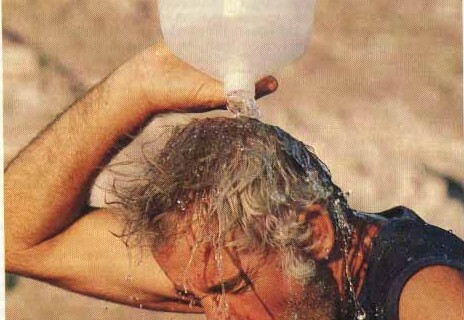 Doug used various methods to stay cool. The Moeben hemp wrap was soaked in ice water and worn around his head and shoulders (these were given to each race entrant). He also used the ice bandanas (specially made bandanas that can be filled with ice and tied around the neck), and water spays (industrial or garden sprayers filled with ice water that the crew used to mist him as he passed). All these measures seemed to work well as he never complained about the heat. Besides the coolers, which took up the majority of the van, we had a tall chest of drawers with everything Doug might need: medical supplies, sunscreen, medications (anti-gas, anti-inflammatory , anti-nausea, etc), Endurolytes, sports lube, powder, foot kit, batteries, lights, etc. There was also a chair and a large umbrella; we had to hide Doug with the umbrella when he needed to change clothes or urinate (there are no bushes to duck behind). We also had two-way radios so the pacer could inform the crew of anything Doug needed before we passed the van again. We also had a notebook in the van with all of the crew information and a spot to record all of Doug’s intake and output (as well as anything else we thought interesting or pertinent). It was nice to be able to look at this and realize that Doug needed something. He typically drank about 20-24 oz of water and took three Endurolytes per hour. He supplemented HEED with various drinks and food throughout the race. Overall, I was most impressed with all of the organization. Doug had assembled a first class crew, provided us with all of the information we needed to help him, be where we needed to be, and take care of ourselves. Doug’s race was terrific, there were no horror stories, no giant blisters, no endless vomiting. He was even running up the 13 miles to to the Whitney Portal finish line! Of course the finish line of any event is the highlight and this was no different. Doug crossed the line with all six of us in tow, was greeted by Chris Kostman, the race director, and presented with his buckle, medal, and coveted finisher’s shirt. The race experience wasn’t over yet: The post-race awards and party was more of the same: camaraderie, appreciation, and friendship. Runners and crew assembled to applaud the efforts of each one out there. The race recap video was touching! But a couple of amazing things stand out about the results: First, only 7 runners DNF’d. This is one of the most brutal events in the world and yet a huge majority of these runners battle the crazy conditions and make it to the finish line. Second, many of them were finishing more that once, some up to 15 times. Veteran crew members were also recognized, with two women having crewed ten times each! When Doug had first approached me about coaching him to get to Badwater, my response was, “I’m happy to work with you through the qualifying events but I am not comfortable coaching you for Badwater itself.” I knew Badwater is a special kind of race with a set of circumstances (namely heat) with which I had never dealt before. So, I worked with Doug on his qualifying 100-mile races. For training, he did up to 100 miles per week but was not consistent with his running until he started a running group in San Antonio. The group forced him to be consistent because he was expected to show up for runs. 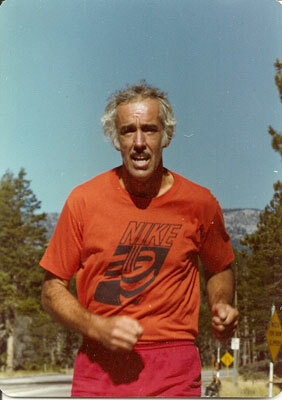 Because he had crewed at Badwater several times he knew what it would take to finish. He was very organized and had every aspect of his race preplanned, but also had alternate plans in case things did not go well. Another aspect of Doug’s success was intense training in the Texas heat with the van and crew just as it would be during the race. This enabled everyone to experience what we would be up against. Doug tested everything from race fuel to clothing, shoes, and more. He even figured out which shoes he could wear, and when, based on how quickly they dried. Lastly, Doug’s participation in a 48-hour event really helped boost his confidence and gave him a taste of how it would feel to be on his feet for that length of time. All of this added up to a great experience for him and his crew. 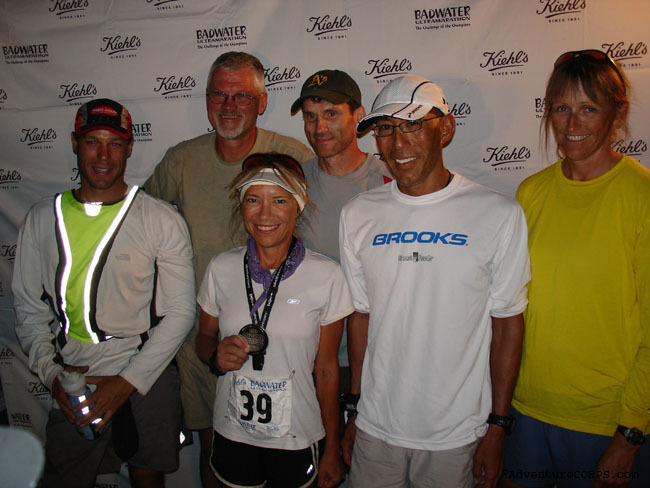 Each of us was ready to take on the Badwater task and Doug had a “picture perfect race” as crewmember Brenda Carawan put it. We all spent two days in Las Vegas after the race, lounging and eating (a lot). Doug drove back to San Antonio and began doing short runs the next week. He says the most difficult part of recovery has been sleepiness and being tired. It took him the better part of two weeks to get caught up on rest. His next race is the Arkansas Traveler 100 in October. While I still contend that this is not a race for me (I have learned “never say never”), I now understand the allure of Badwater. I understand that this group of runners is somehow connected and part of a very special corps of athletes who have not only overcome, but embraced, the climate and adversity of Death Valley. Coach Amanda McIntosh has been a Hammer Nutrition Athlete since 1995. Some of her racing highlights include 1999 50 mile National Women’s Champion, 1999 and 2000 Leadville Trail 100 Women’s Champion, 2005 World Masters 100K Women’s Champion, 2008 Copper Canyon 50-mile Women’s Champion, 2007 Q50 Patagonia Women’s Champion, and 2010 Q50 Costa Rica Women’s Champion. Over the past year Amanda has added cycling and swimming to her running, competing in a few Triathlon and Duathlon events. As a coach she trains beginner to elite runners to accomplish goals from 5k to 100 miles and more. Though Amanda is based in San Antonio, TX, her clients include athletes from all over the world. She thinks Chris Kostman is Da Bomb.